Signal is committed to protecting your privacy and the security of your data. Signal cannot sell, rent, or monetize your data or content in any way – ever. Can I export my data out of Signal? Signal messages, pictures, files, and other contents are stored locally on your device. These contents are readable by the open source Signal clients. Because everything in Signal is end-to-end encrypted, the Signal service does not have access to any of this data. There are several community-developed open source utilities that are capable of parsing locally stored Signal content. 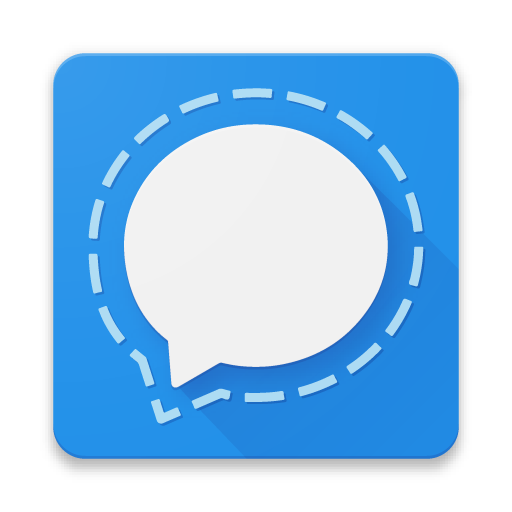 Android users can also help us test a new backup feature that makes it possible to move your local Signal data between devices (Signal Settings > Chats and media > Chat backups). How do I permanently disable my account? You can permanently disable your phone number from being recognized as a Signal user by unregistering your phone number here. You will need access to this phone number to verify and complete this action. What about my contacts in Signal? Signal does not store any contact information under any circumstances. That information resides solely on your device. What efforts is Signal taking to comply with GDPR? How do I contact your Data Protection Officer? You can contact our Data Protection Officer by sending an email to privacy@signal.org. What is the minimum age to use Signal? You must be at least 13 years of age to use Signal. The minimum age to use our Services without parental approval may be higher in your home country. Signal's ongoing commitment to protecting your privacy using state-of-the-art security and end-to-end encryption will never change. Our goal has always been to develop open source privacy technology that protects free expression and enables secure global communication. If you have more questions about our data privacy practices, please contact us at privacy@signal.org.